Reklame Script is basically a brush typefamily comorising of about four weights. The attractive typeface was initially crafted under meticulous guidance of Hannes von Döhren in the year 2010. The family is highly influenced by the handlettering of printed advertisements popular during the era 1940s and 1950s. About four weights can be combined to gain a better accent for the font which makes it perfect for headlines, display, posters, and similar uses. 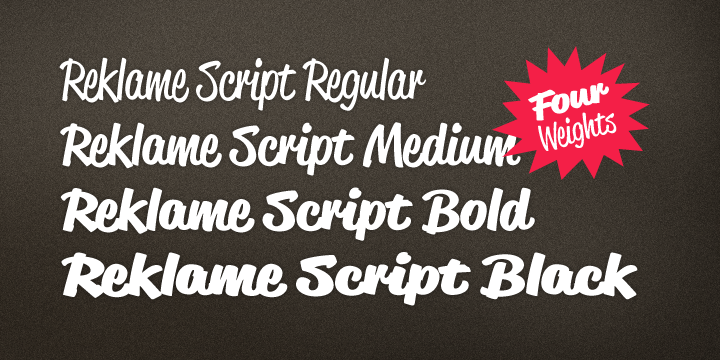 The Reklame Script is perfectly equipped for professional typography.